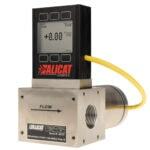 Single-valve pressure controllers from Alicat are designed to rapidly control the pressure of flowing processes. They are available with internal pressure sensors or remote sensors that can be plumbed to any point in your process. PC-series absolute or gauge pressure controllers contain pressure sensors that are referenced to vacuum (absolute) or to local barometric pressure (gauge). PC3-series absolute or gauge pressure controllers have flow paths that are isolated from their pressure sensors. Instead, an external pressure sense port can be plumbed to measure pressure at any point in your system. The EPC series condenses our single-valve PC series absolute or gauge pressure controller into a bare-bones form factor that is ideal for OEM applications and large-quantity orders. PC-series differential pressure controllers maintain a constant pressure differential between their two measurement ports. Like the PC3 above, each of the two pressure measurement ports of the differential pressure controller can be plumbed to any point in your process. 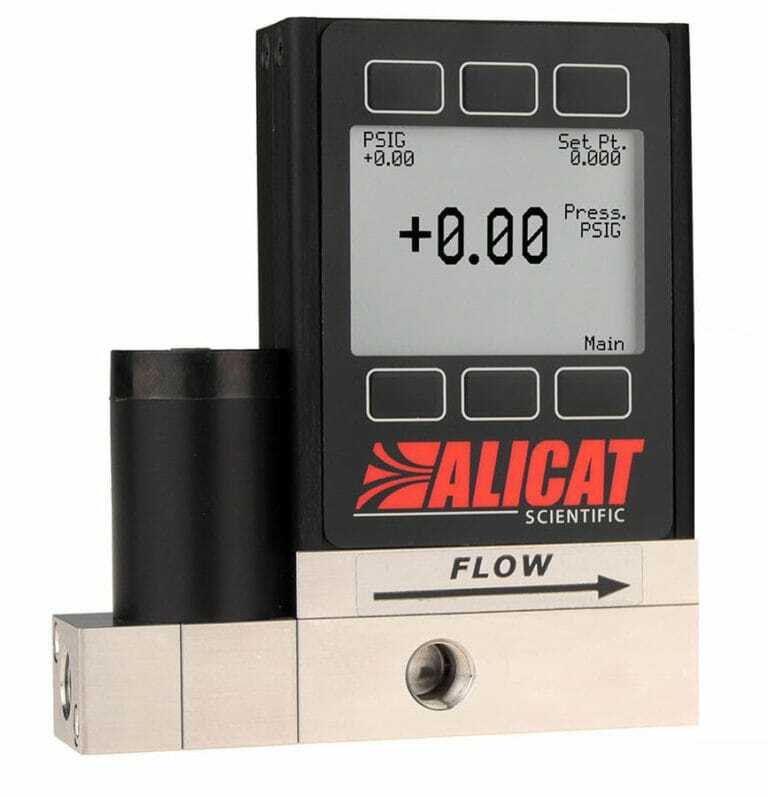 Establish stable pressure for the leak check by measuring pressure precisely at the device under test with Alicat’s PC3-series pressure controller with remote sense port. Characterize the flow vs. pressure drop curve by fixing the differential pressure across the filter using a differential pressure controller. 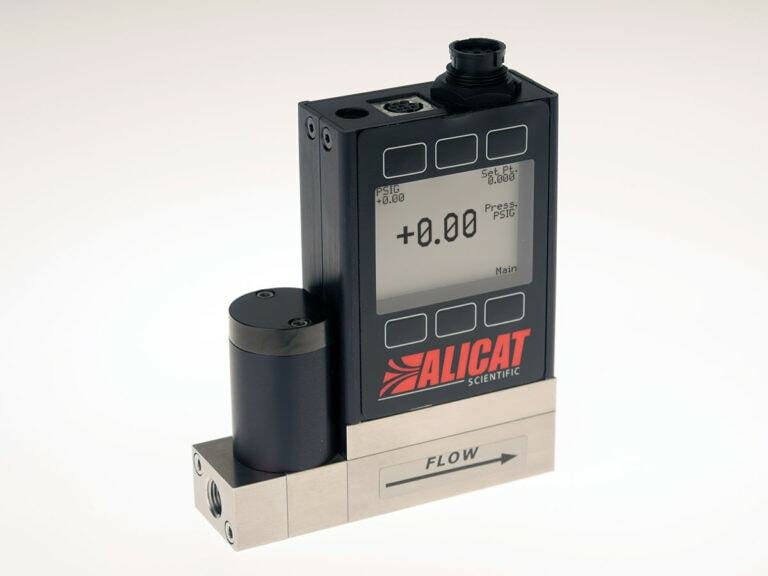 Use your favorite vacuum gauge with Alicat’s PC-EXTSEN pressure controller to maintain the ideal absolute pressure for vacuum deposition. Small size, fast response and dual analog/digital communications make the EPC easy to build into OEM products. Control the absolute pressure (referenced to vacuum) or gauge pressure (referenced to local barometric pressure) of gases or liquids in your process. 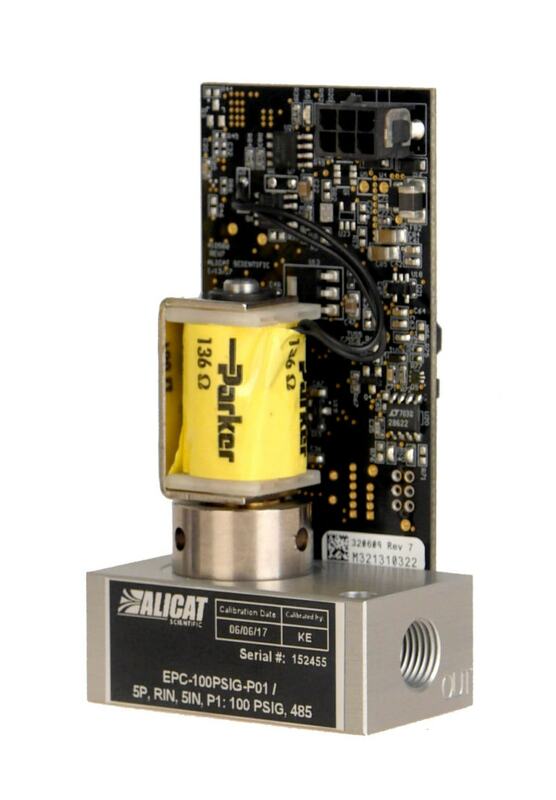 Alicat’s PC series pressure controllers achieve new setpoints rapidly and stay put, even in the face of uneven feed pressure or changing temperatures. We’ll use your application parameters to customize your valve and PID tuning to ensure that your controller delivers fast and stable control. Fast & Accurate. Very fast valves and PID control algorithms hit pressure setpoints in milliseconds with NIST-traceable accuracy. Connected. Easy integration into your digital industrial network with Ethernet/IP, EtherCAT, DeviceNet, Profibus, Modbus (RTU and TCP/IP) or serial communications options. Backpressure control option. 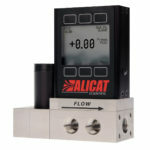 Downstream valve positioning sets up your Alicat as a backpressure controller. This option works especially well with absolute pressure sensors to keep your process at a fixed pressure, regardless of changing weather. Compatible gas media: all non-corrosive gases (PC/PCS). Liquids and corrosive gases require an S-series device (PCS). If you would to like to use your own vacuum or pressure sensor, the PC-EXTSEN pressure controller is built without an internal pressure sensor. Instead, it connects electronically to a customer-supplied external pressure or vacuum transducer via the dedicated industrial sensor connector (ISC) located on top of the pressure controller. This configuration is especially useful for vacuum coating processes. Your pressure controller may be customized with one of the following valving options to ensure optimal performance under your expected process conditions. Instruments in the standard PC series are also available with an optional “S” configuration (PCS) for use with liquids and corrosive gases. In this configuration, we upgrade the valve to 303 stainless steel, the sensor to 316L stainless steel and the elastomers to FFKM. Some corrosive gases require 316L stainless steel throughout the flow path, and in this case we can upgrade both the valve (type PCA) and flow body to 316L for full-scale flow ranges of 20 slpm or less. Alicat’s PC series uses small proportional valves for control at lower flow rates and is suitable for use with non-corrosive gases. 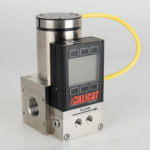 Alicat’s PCP series offers the largest orifice in a small valve format and is suitable for use with non-corrosive gases. Alicat’s PCH series pairs two small valves working side-by-side as one and is suitable for use with non-corrosive gases. 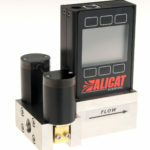 Alicat’s PCR series uses nearly frictionless Rolamite valves and a variety of orifice patterns for control at high flow rates and is suitable for use with non-corrosive gases. Alicat’s PCS series uses small proportional valves for control at lower flow rates and is suitable for use with liquids and corrosive gases. 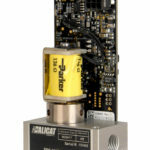 Alicat’s PCHS series is suitable for use with liquids and corrosive gases and pairs two valves working side-by-side as one to provide greater control at higher pressures. 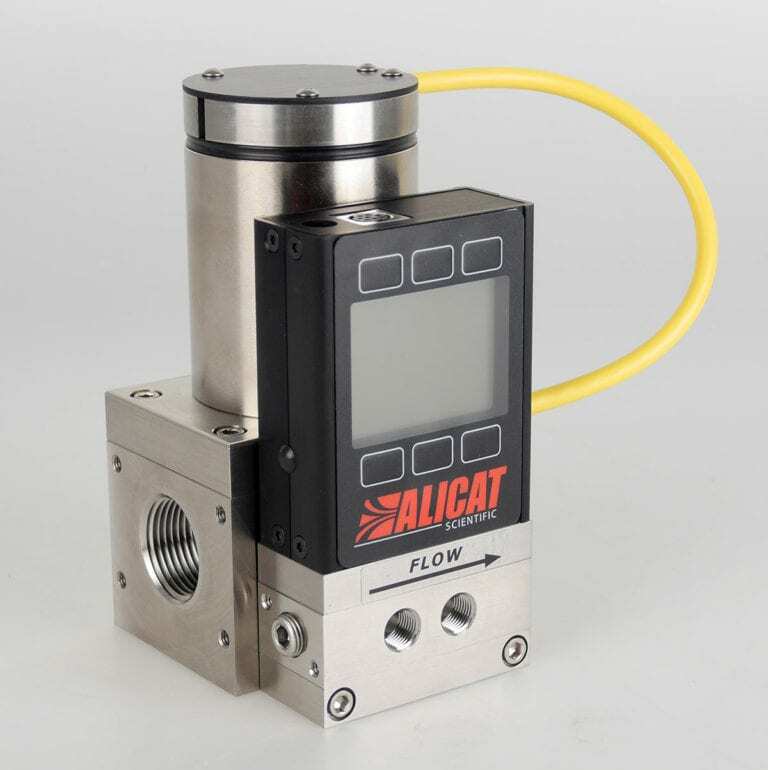 Alicat’s PCRS series is suitable for use with liquids and corrosive gases and uses nearly frictionless Rolamite valves and a variety of orifice patterns for control at high flow rates. 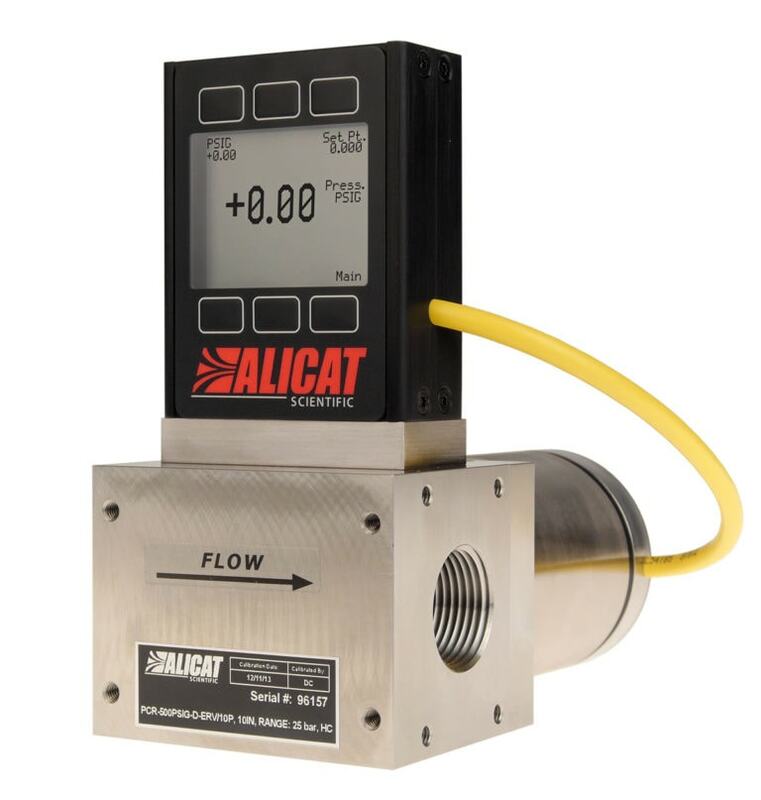 Use your favorite vacuum gauge with Alicat’s PC-EXTSEN pressure controller to maintain the ideal absolute pressure for vacuum deposition. The PC-EXTSEN stabilizes the overall chamber pressure as mass flow controllers introduce reactive gases into the vacuum coating chamber. Measure absolute or gauge pressure at any point in your system, and control flow at a different point to ensure your pressure stays on target. Alicat’s PC3 series physically isolates the pressure sensor from the valve and flow path so that you can control pressure exactly where you need it. This allows pressure control in areas where you cannot easily install a full pressure controller and reduces the effects of flow-induced pressure changes in high-flow applications. We’ll use your application parameters to customize your valve and PID tuning to ensure that your controller delivers fast and stable control. Versatile. Plumb the pressure port downstream of the valve and flow body for pressure or vacuum control of the process that lies ahead of the valve. Plumb the pressure port upstream of the valve for backpressure control of the process that precedes the valve. Compatible gas media: all non-corrosive gases (PC3/PC3S). Liquids and corrosive gases require an S-series device (PC3S). Instruments in the standard PC3 series are also available with an optional “S” configuration (PC3S) for use with liquids and corrosive gases. In this configuration, we upgrade the valve to 303 stainless steel, the sensor to 316L stainless steel and the elastomers to FFKM. Some corrosive gases require 316L stainless steel throughout the flow path, and in this case we can upgrade both the valve (type PCA) and flow body to 316L for full-scale flow ranges of 20 slpm or less. Alicat’s PC3 series uses small proportional valves for control at lower flow rates and is suitable for use with non-corrosive gases. Alicat’s PCP3 series offers the largest orifice in a small valve format and is suitable for use with non-corrosive gases. Alicat’s PCH3 series pairs two small valves working side-by-side as one and is suitable for use with non-corrosive gases. 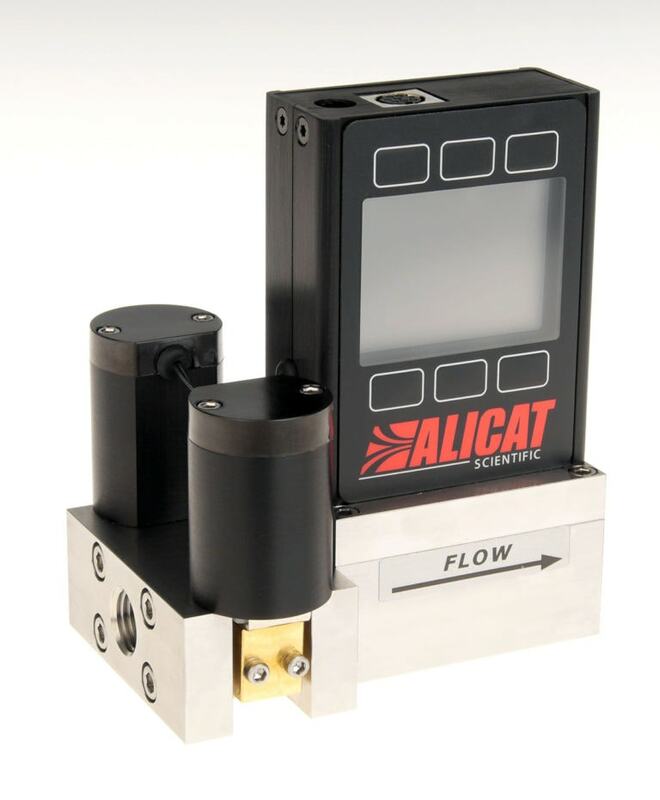 Alicat’s PCR3 series uses nearly frictionless Rolamite valves and a variety of orifice patterns for control at high flow rates and is suitable for use with non-corrosive gases. Anti-corrosive series for aggressive gases and liquids. 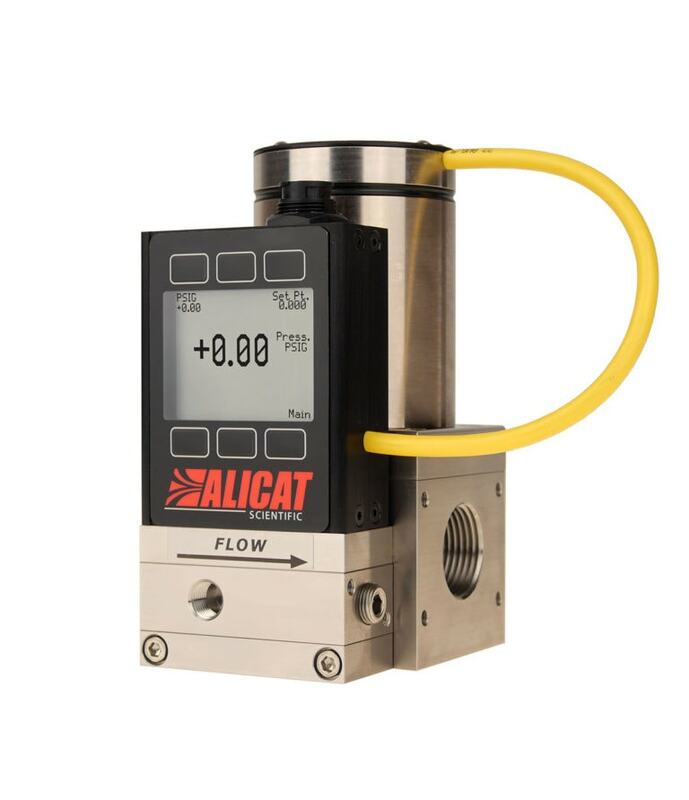 Alicat’s PC3S series uses small proportional valves for control at lower flow rates and is suitable for use with liquids and corrosive gases. Alicat’s PCH3S series is suitable for use with liquids and corrosive gases and pairs two valves working side-by-side as one to provide greater control at higher pressures. 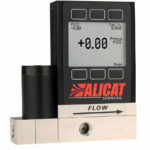 Alicat’s PCR3S series is suitable for use with liquids and corrosive gases and uses nearly frictionless Rolamite valves and a variety of orifice patterns for control at high flow rates. 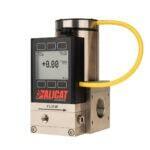 Establish stable pressure for the leak check by measuring pressure precisely at the device under test with Alicat’s PC3-series pressure controller with remote sense port. This method negates the pressure drop induced by the mass flow meter that is measuring the leak rate with 5-ms speed of response. Measure the differential pressure between any two points in your process, and control flow at a different point to ensure the pressure differential remains constant. The two process ports connect to opposite sides of the differential pressure sensor; positive readings denote higher pressure at the left (upstream) process port, and negative readings denote higher pressure at the right (downstream) port. We’ll use your application parameters to customize your valve and PID tuning to ensure that your controller delivers fast and stable control. Versatile. Plumb the two pressure ports wherever you need to measure and control the pressure difference. Or use the instrument as a gauge pressure controller by leaving the downstream port open to atmosphere. Characterize a filter’s flow versus pressure drop curve by fixing the differential pressure across the filter using the pressure controller. 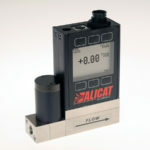 The mass flow meter displays the resulting flow rate required to attain the pressure drop.